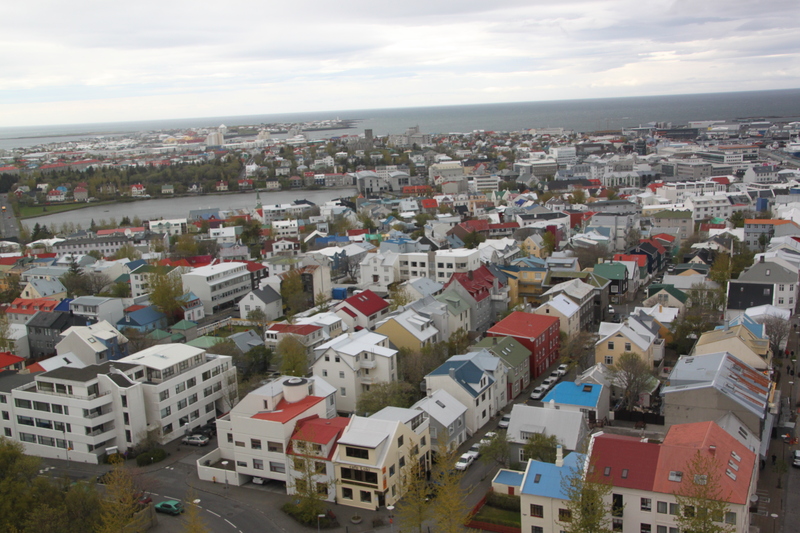 We could see Hallgrimskirkja from our balcony – there probably aren’t too many places in the city where you can’t see it, it is the tallest building and also the most famous. Pictures of it are everywhere and they have little models in all the souvenir shops, so you have to go there. It is a weird looking building, made of concrete with lots of huge columns at the front. 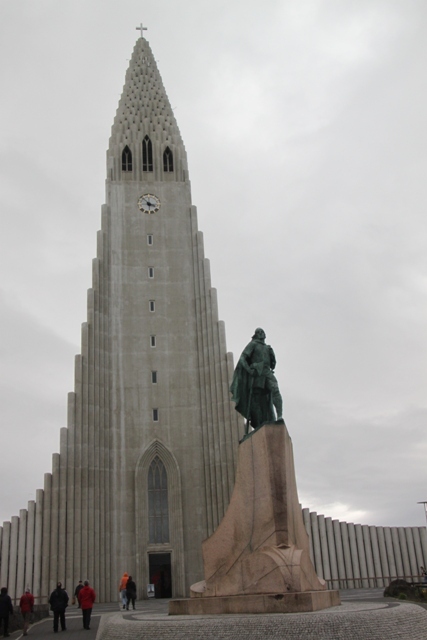 The columns are supposed to resemble basalt from cooling lava, the architect was inspired by the Icelandic volcanoes. It’s one of those love it or hate it buildings. I loved it. It’s big inside, also bright, light and simple. 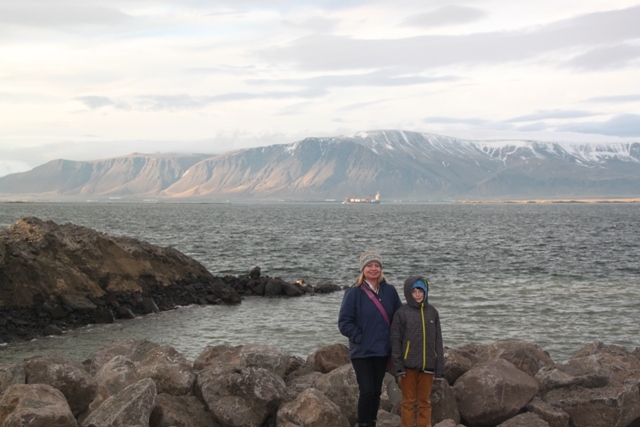 Check out also the biggest organ in Iceland. Our 9 year old was keen to get this part of the exploring over quickly and get to the real deal – the top of the tower. 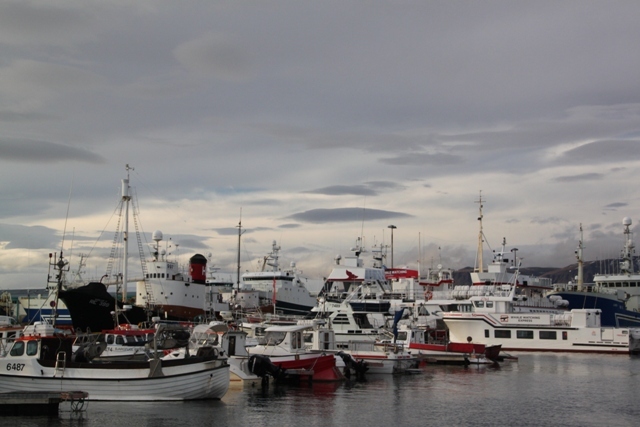 You pay a small fee to take the lift up, but it’s definitely worth it – the views are just gorgeous. 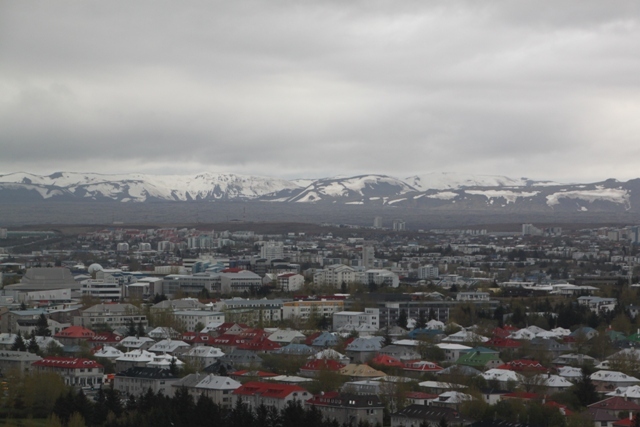 Lots of buildings, all painted in bright colours, the sea beyond and then the snow capped mountains – perfection. 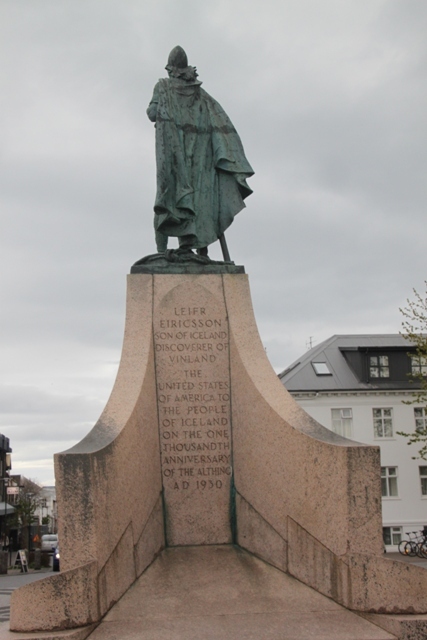 We met this guy outside – Leif the Lucky, otherwise known as the chap who discovered America. 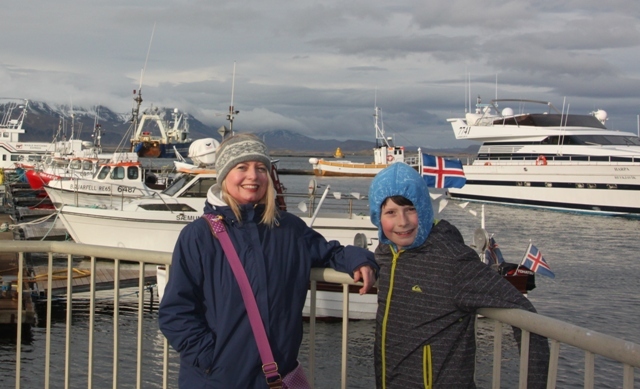 After a little rest, a bit of shopping (the 9 year old adores the shops here) we headed to the harbour in the evening. 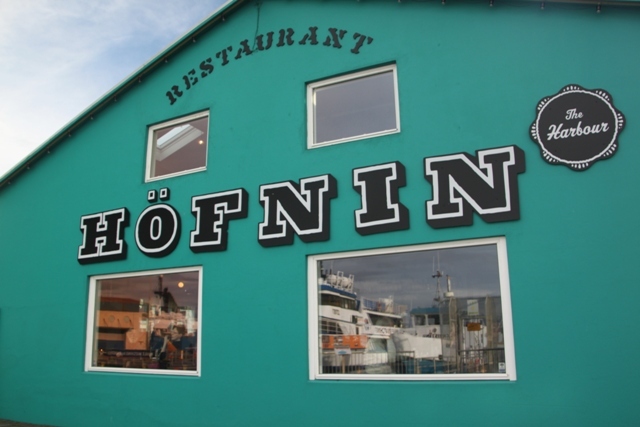 There are lots of quaint restaurants down there, we picked Hofnin. It’s in a bright green building, once a fisherman’s hut, but is so lovely inside. Rustic and old fashioned and the most delicious food. The picky 9 year old didn’t agree, but then food is something he feels he could do without, but we loved it. 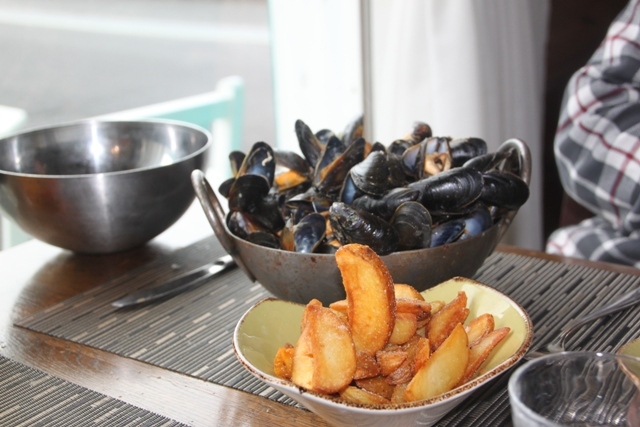 The mussels and chunky home cut fries were the best. 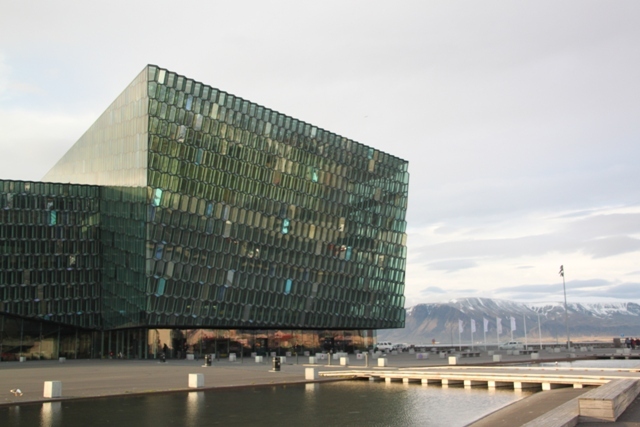 We strolled around the harbour, then walked past the Harpa Conference Centre along the path by the sea back to the city. 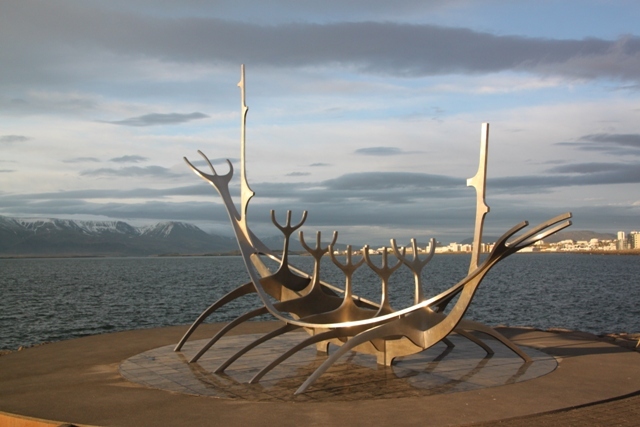 Such amazing views, such bright skies (at 11pm) and an intriguing Viking ship to explore. Perfect.